I'm actually using this Complete Probiotics, 70 Billion CFU / 10 Strains to make yogurt. It works and the price and strength are great. 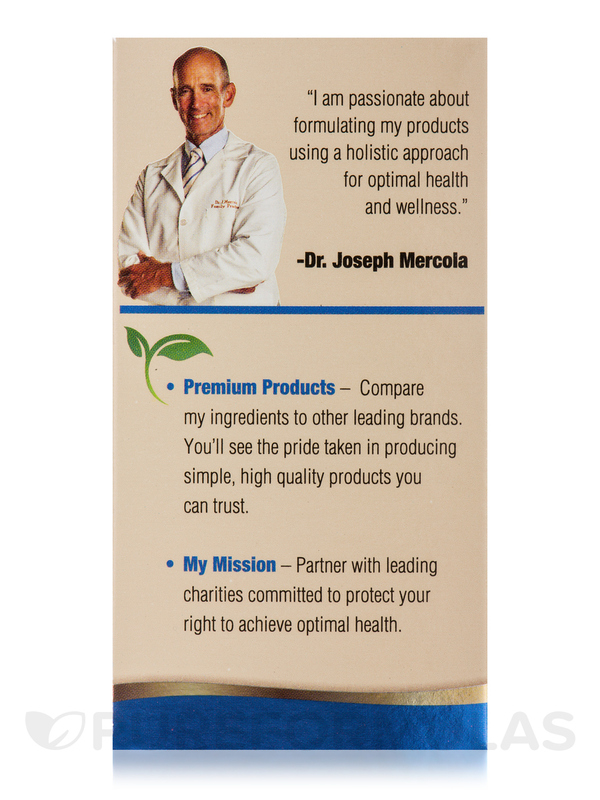 Dr. Mercola's probiotics are one of the best on the market. Complete Probiotics, 70 Billion CFU helped with my digestion and overall GI health. 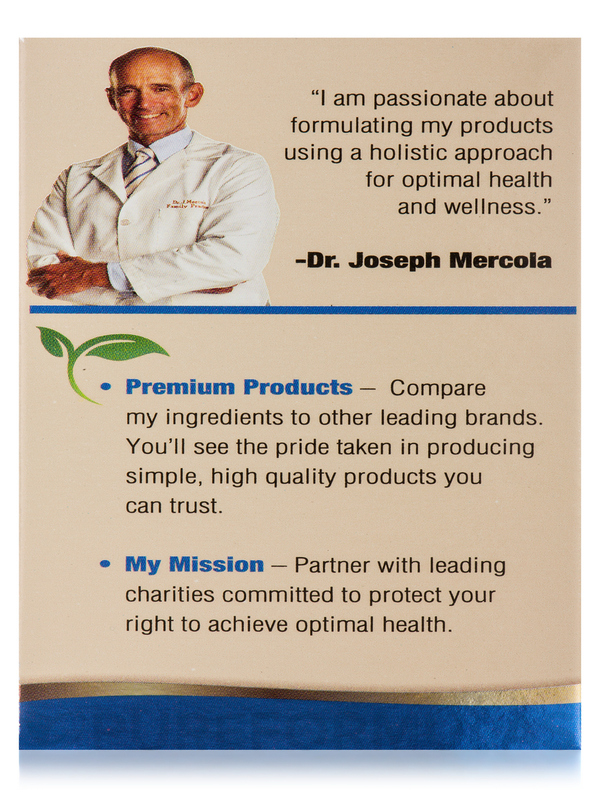 Dr. Mercola's #1 pick to support your digestive health! 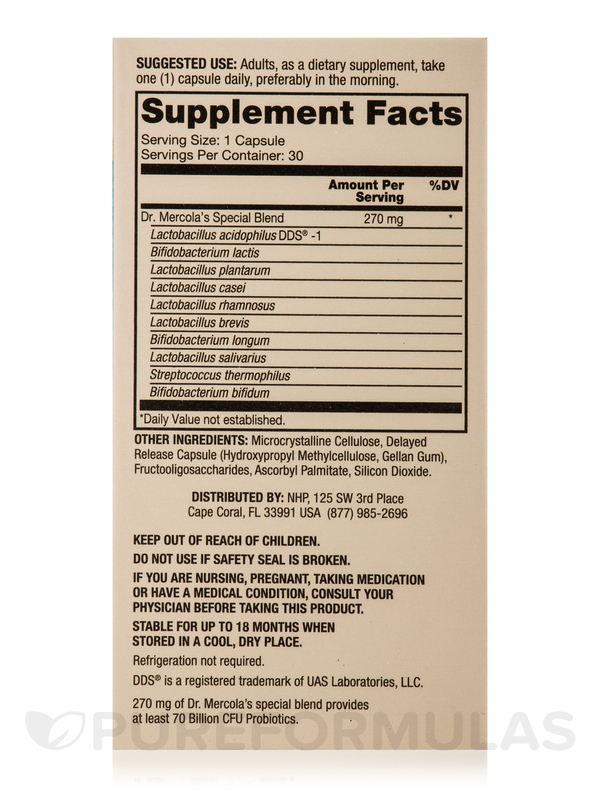 - Helps maintain a healthy balance of intestinal microflora and promotes digestion. - Supports gastrointestinal health and immune system function. - Formulated to contain a special blend of 10 viable probiotic strains‚ providing a total bacterial count of 70 billion CFU per serving. - Stable at room temperature‚ no refrigeration required. 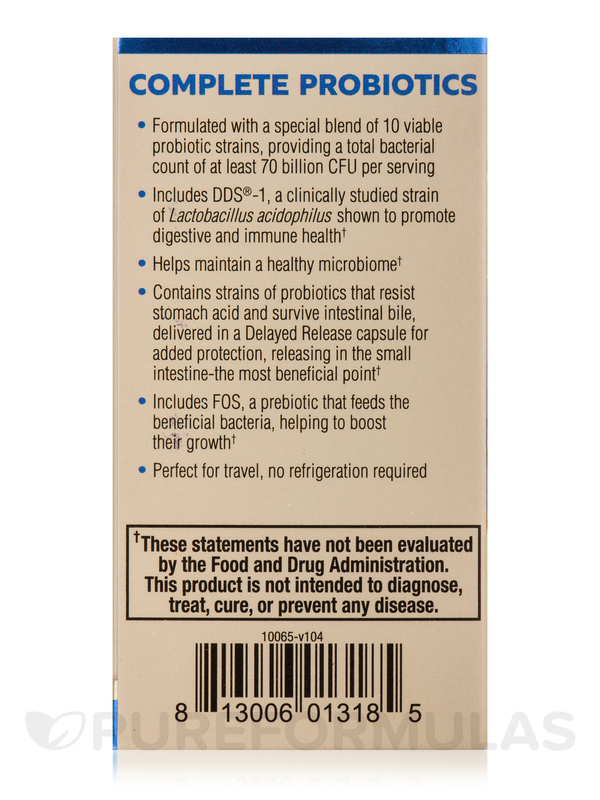 - Contains strains of probiotics that resist stomach acid and survive intestinal bile‚ for optimal health benefits. 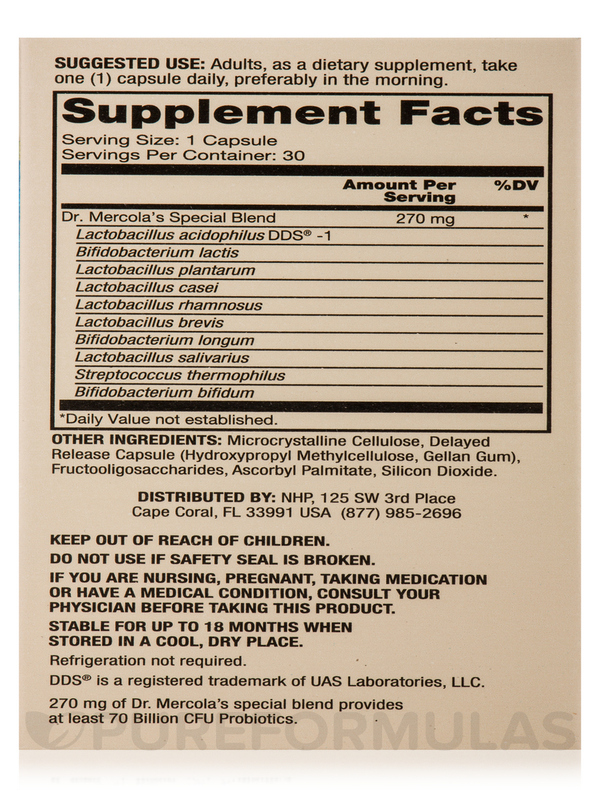 - Promotes a favorable environment for the growth of good bacteria. Other Ingredients: Microcrystalline cellulose‚ delayed release capsule (hydroxypropyl methylcellulose‚ gellan gum)‚ fructooligosaccharides‚ ascorbyl palmitate‚ silicon dioxide. Adults‚ as a dietary supplement‚ take one (1) capsule daily‚ preferably in the morning. Stable for up to 2 years when stored in a cool‚ dry place. Refrigeration recommended after opening‚ but not required. Love that the different types are listed so that you know what you are getting. Use this product when I'm traveling and for when I make yogurt. Best probiotic on the market!! 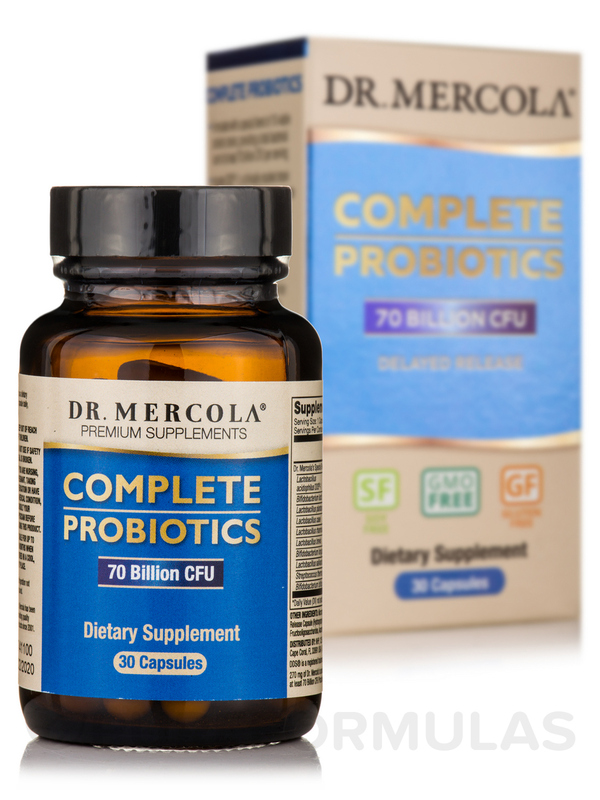 This Complete Probiotics, 70 Billion CFU / 10 Strains by Dr. Mercola is the best! 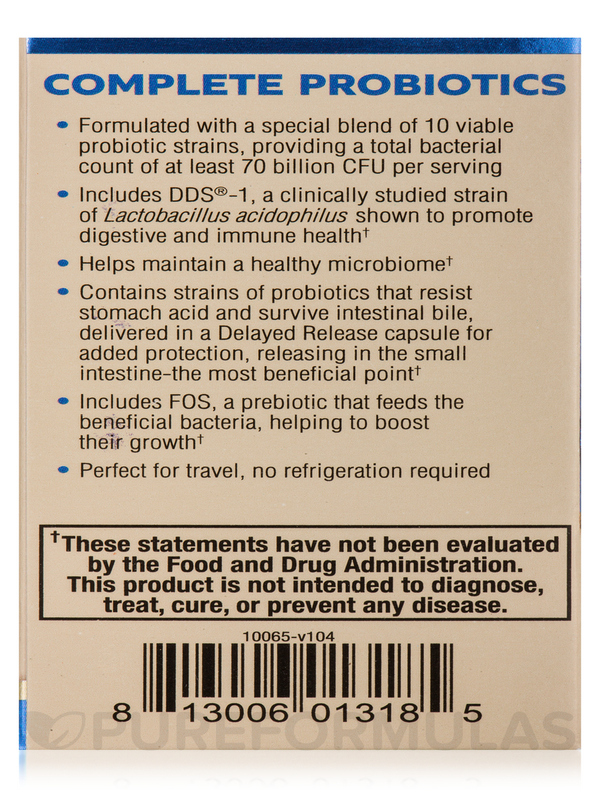 We have been taking this probiotic for over a year now. Great gut health wellness!! Love how amazing it is! 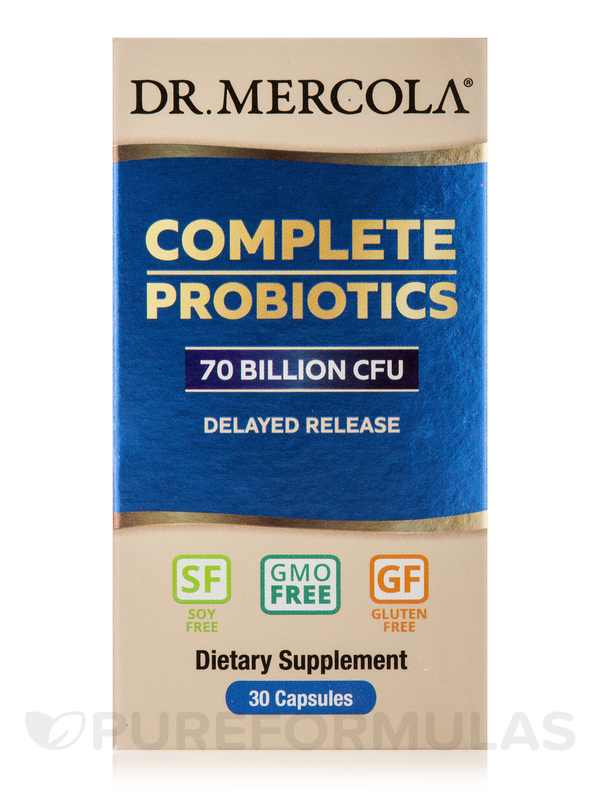 I experienced some side effect that may or not be attributable to Complete Probiotics, 70 Billion CFU / 10 Strains by Dr. Mercola, and therefore cannot recommend it. I read its reviews, and decided to try it, since I was already using a probiotic. 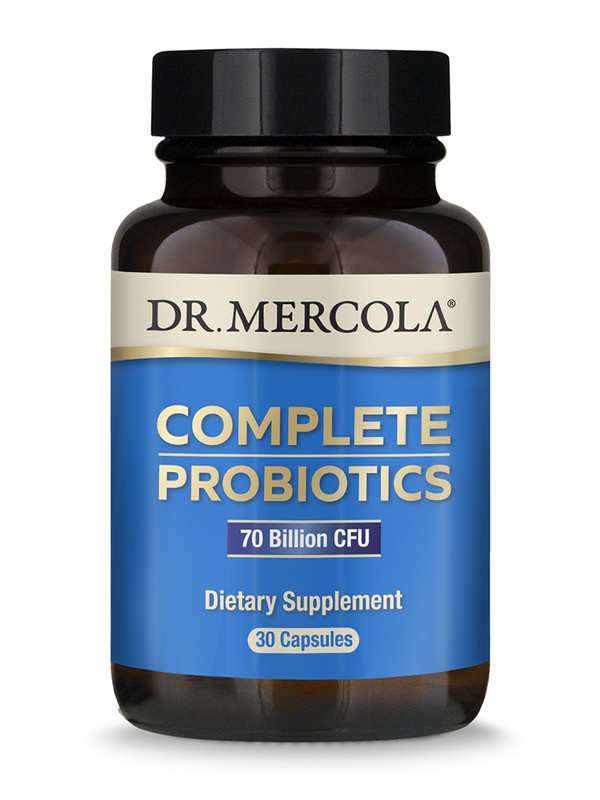 Complete Probiotics by Dr. Mercola is easy to take in a capsule form, the more probiotic forms the better generally. Shows diversity which is beneficial to the colon. Since not all Probiotics are created equal, I've tried many. So far Complete Probiotics by Dr. Mercola is the best. Keeps us regular, we went through winter without sickness, improved gut issues. The multiple strains is a must. Pricey, but I find I have to pay more for a product that works! Trusted brand, multiple strains, no need to refrigerate until after opened. Multiple strains get better results! 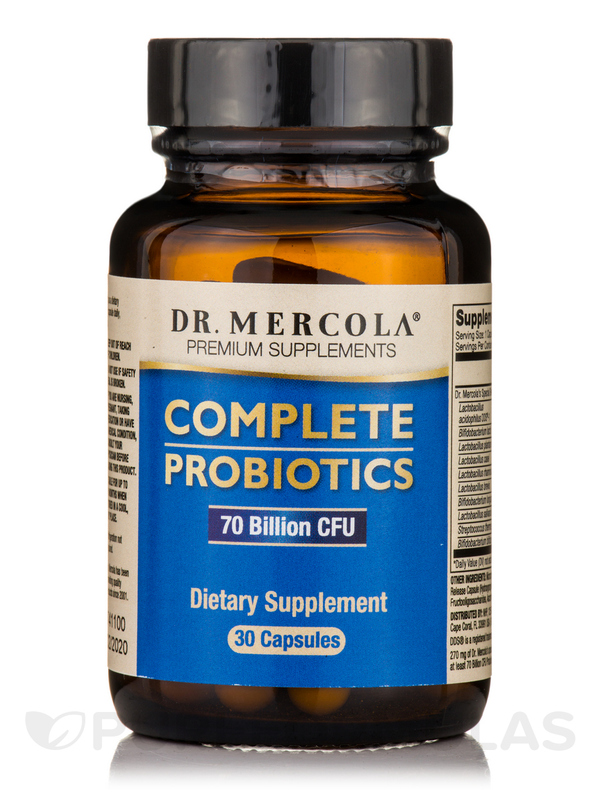 Complete Probiotics by Dr. Mercola is the best probiotic you can buy. I have been taking them for several years. I used to suffer from bleeding gums after taking this product for 3 days the problem was gone and never came back. It also help regulate all organs of the body. My mother suffers from constipation so I gave her some to try and in a few days she was back to normal. Great product. That is works very well. What is the manufactured date on this product? Hi Mary, thank you for choosing Pureformulas.com. There is no manufacture date on this product but the expiration date for this product is currently, 09/2017 (September/2017) Have a happy and healthy day!